Pro Plumbing Air & Electric is a full service plumbing, air conditioning, heating, and electric contractor, serving families in Greensboro, Winston-Salem, and the surrounding areas since 1920. We specialize in routine maintenance, repairs, and installation services. We provide emergency repairs for plumbing, air conditioning, and heating needs. Our annual check-ups will help you save time and money with cost efficient preventative maintenance. 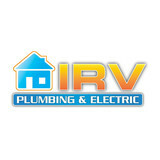 Whether you’re in need of plumbing or electrical repairs, you can trust IRV Plumbing, Electric & HVAC. With over 100 years of combined experience, our friendly and knowledgeable technicians will guide you and help you make the right decision for whatever your needs may be. From tankless water heater installation, to drain repairs, to any electrical repairs, you can trust that with IRV you’re going to get prompt, reliable service every time. With a wide range of services and a 100% satisfaction guarantee, odds are you will never need another plumbing or electrical company again. Our professional electricians are here to help you through any and all of your electrical repair needs. Our technicians are fully licensed and certified in the most up-to-date technology, so you can trust that everything IRV does is up to code and 100% safe for you and your family. Plus all our work comes with a guarantee that it will be done right the first time every time. We don’t mess around with your safety, and neither should you. Trust the pros and call the electricians at IRV for all of your electrical repair or installation needs. We are committed to providing customers with integrity, reliability, and value. We are licensed in North and South Carolina. Call us today and see what we can do for you! At Willmann Plumbing Company Inc., we are a fourth-generation, family-owned and operated business located in Charlotte, North Carolina. Since 1884, we have earned a reputation for impeccable workmanship and dependable service. Whether your commercial or residential plumbing system was installed last century or yesterday, our staff has the training and expertise to locate and promptly repair leaks, clogged drains, and old pipes that are getting in the way of your ability to complete routine tasks and enjoy your living and working spaces. Let us help by recommending minor updates or even installing new plumbing fixtures and appliances at your home or business. All we do is drain and sewer pipe cleaning, not plumbing. This is our specialty and it shows in our service, our equipment, and our passion for customer satisfaction. All Clear Sewer And Drain provides drain and sewer pipe cleaning to residential and commercial locations in the Lake Norman and Charlotte, NC metro area. For the homeowner who may need a drain or sewer pipe inspected and cleaned, we are the focused professional to fix for your problem correctly and completely. We have remote camera service for inspection, water jetting, and power rodding tools and attachment for any clog, any time. For the Lake Norman and Charlotte area local plumbers who don’t provide this service or don’t have the time, we are the perfect solution. Local residential plumbers can go to our Plumbers Referral Page for details on partnering with us for your drain and sewer cleaning needs. Massey Plumbing Inc. is a residential and commercial plumbing company serving Clover, Gastonia, NC and surrounding areas. Massey Plumbing Inc. in Clover, Gastonia, NC is a family owned with over 30 years experience. We pride ourselves on repairs, commercial, and plumbing. With competitive prices, speedy service and the highest quality. We're Backflow certified. C R Willmann Plumbing Co.
Our Charlotte plumbers have set the bar high when it comes to hiring a plumbing contractor. 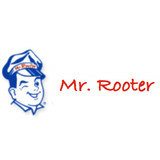 Our team of plumbers is built on the highest standards of integrity & reliability. We do things the Rightway. We are your #1 plumber in Charlotte, NC and our reviews all across the web back that statement up. For reliable, prompt, and friendly plumbing, look no further than Rightway Plumbing. We welcome you to scroll through our website, like us on Facebook, check our BBB rating, and see what people from Google and Angie’s List have said. Our normal business hours are from 8am – 8pm. High standards, reliability, and cleanliness are not something you general think of when hiring a plumber in Charlotte, but it’s the norm here. Let us be your “go to” Charlotte plumbers. Remodel and repairs of kitchen and bathrooms. When you use E.R. Plumbing Services you can rest assured, knowing that we have solved your problem or need using our professional start-to-finish system to assure that once we leave your premises you are 100% satisfied! 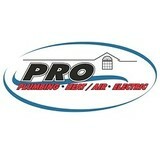 Contact us for all of your plumbing needs! When a home improvement job involves installing or repairing water, gas or other pipes, it’s smart to hire a licensed plumber in Denver, NC. Their expertise can help prevent costly water damage to a home’s structural elements, and provide peace of mind that the job is done correctly. Building a new home or remodeling an existing one always calls for the skills of a certified plumbing company as well, so don’t hesitate to contact one for any project, big or small. Read further for more tips on hiring to best local plumbers in Denver, NC. A plumbing contractor handles the installation and repair of water, sewage and natural gas pipes throughout a home, as well as interior and exterior faucets and fixtures. Plumbing contractors are also trained to work with water mains, septic tanks, laundry appliances, water heaters, sump pumps and other plumbing and pipe systems. Because plumbing repair work is done largely behind walls and beneath floors, some plumbing companies can also patch or replace tile, stonework and other surfaces. Although some Denver plumbers are generalists, others specialize in specific areas; a 24 hour emergency plumber will handle urgent residential repairs, while others may be more skilled in remodeling, natural gas lines, overhead sprinkler systems and more. 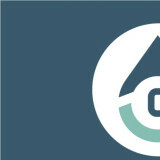 Find a local Denver plumber on Houzz. 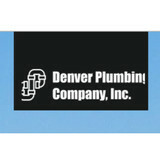 Narrow your search in the Professionals section of the website to plumbing contractors in Denver, NC. You may also look through photos of Denver, NC projects to find a licensed plumber who has worked on a project similar to yours. Here are some related professionals and vendors to complement the work of plumbers: General Contractors, Septic Tanks & Systems, Kitchen & Bath Designers, Kitchen & Bath Remodelers.